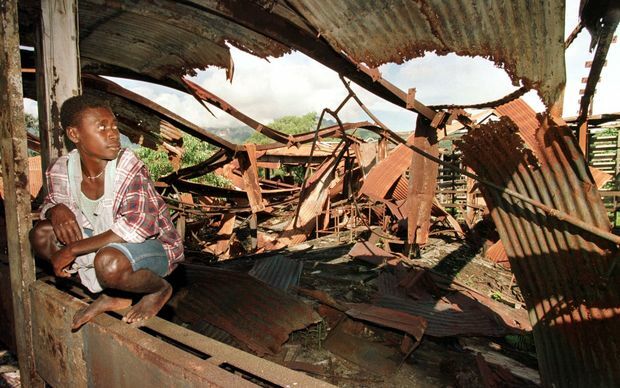 A former prominent leader in Bougainville says Papua New Guinea has to start discussing compensation for the damage it caused during the civil war. Martin Miriori, who led the Bougainville Interim government during the latter stage of the war, says the Joint Supervisory Board talks on Friday in Arawa should consider compensation. The talks, between the PNG and Bougainville governments, are to lay the final preparations for a referendum next year on possible independence for Bougainville, as laid down in the 2001 Peace Agreement. Mr Miriori said PNG needs to be held responsible for killing thousands, for the burning down of hundreds of villages and the destruction of property, and these issues need to be talked about now. 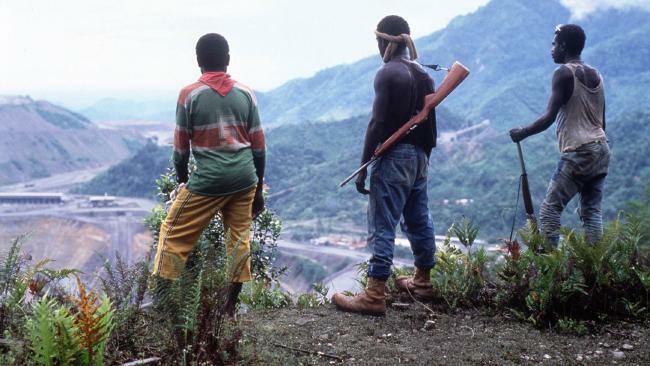 The trailer for New Zealand documentary maker Will Watson’s forthcoming documentary about the Bougainville peace process, Soldiers Without Guns. A Bougainvillean leader has accused Papua New Guinean Prime Minister Peter O’Neill of “undermining” the island’s 17-year-old peace agreement and the independence vote due next year. Martin Miriori also condemned O’Nell for lacking sensitivity over Bougainville that struck a New Zealand-brokered peace agreement which ended a 10-year civil war and included a referendum vote on independence. Miriori, a Panguna landowner and pro-independence leader, was reacting to a statement by O’Neill at the Business Forum in Brisbane last week and repeated in PNG’s The National newspaper that the vote was not about independence, but what was best for the people of Bougainville. “When the prime minister comes out openly making such a statement in public, my view is that he is already undermining the good intentions and the spirit of the Bougainville Peace Agreement which, among other issues, clearly states that the issue of independence for Bougainville will be also among the options for a referendum vote to be taken by the people [in] June next year,” he said today in a statement. “This is also the common understanding of the international community as well [as] including the United Nations,” Miriori said. Miriori said Bougainvilleans would not have “fully committed themselves” to the joint partnership with Papua New Guinea in the peace process if they knew that they were “going to be tricked”. “We must not lose the trust and confidence of the people at all cost, and in doing so try to confuse them by making such statements, which could easily undermine all our good work and tireless efforts being invested in this very delicate and sensitive process since we first fully committed ourselves at Burnham [New Zealand] in July 1997 towards achieving lasting peace by peaceful means,” Miriori said. RNZ Pacific reports that O’Neill told the Business Forum in Brisbane that when the outcome of the referendum was tabled in the national Parliament, he was sure every MP would vote in the interests of a unified and harmonious country. Meanwhile, the film maker of a forthcoming documentary about the Bougainville peace process, Soldiers Without Guns, has released a trailer. In a social media message message to supporters last week, Will Watson said: “We were celebrating the 20th anniversary of lasting peace for Bougainville yesterday. “Yes, the 30 April 1998 was the signing of the peace accord. “The other big news is that I completed the trailer for the upcoming movie, Soldiers Without Guns. It took lots of work but I think it describes the Pacific’s worst civil war and peacekeeping with guitars instead of guns. “Still lots of work to do to complete the film. I hope you like the trailer. Watson won the 2017 Cannes Film Festival peace feature for his documentary Haka and Guitars. He has appealed for support in a funding campaign to complete the Bougainville project. There’s a renewed call for the people of the autonomous Papua New Guinea province of Bougainville to have a say in any re-opening of the controversial Panguna copper and gold mine. This comes as the final of a series of regional meetings on a possible re-opening, being held near the mine site in central Bougainville, has been held up by disputes between several of the parties involved. A Panguna landowner and former candidate for president of Bougainville, Martin Miriori, says a plebiscite, run by the election office, is the only way to get full buy in from the people. He says when Panguna was first opened 40 years ago few had a say.